Buy 10 reels of thread and get them delivered absolutely free. 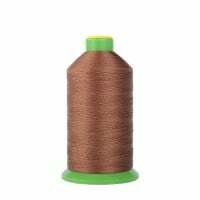 This thread is ideal for any heavy duty materials. For example: shoe repair, upholstery, furniture repair, leather craft, saddles, harnesses, Horse coats, handbags, jackets, tarps, belts, purses, suitcases, rucksacks, tents, sleeping bags, craft items, car soft tops and seats, and many other heavy-duty items. A bonded nylon thread is particularly good for multi-directional and high-speed sewing. Produced with high tensile strength for high Abrasion resistance and high water repellency. Bonded Nylon is rot proof & resistant to chemicals, mildew, wear & abrasion. JACK JK-6380 BC-Q Walking Foot, Direct Drive, Lockstitch, Industrial Sewing Machine. 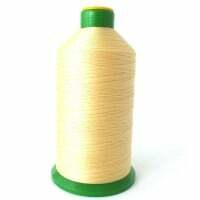 Tags: Top Stitch, Heavy Duty, Bonded, Nylon, Sewing Thread.